Below you can view all the homes for sale in the Waterton subdivision located in Grayson Georgia. 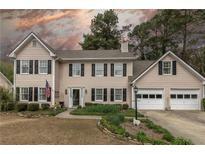 Listings in Waterton are updated daily from data we receive from the Atlanta multiple listing service. To learn more about any of these homes or to receive custom notifications when a new property is listed for sale in Waterton, give us a call at 404-998-4113. Bring The Boat, An Extra Car Or Your Desire To Entertain Year-Long Inside And Out And Make This Home Yours! MLS#6537695. Palmerhouse Properties. Move In Ready - 4Br/2.5 Bath - Finished Bonus - New Carpet - Kitchen With Granite Counter Tops - Wood Floor - Stainless Appliances - Formal Dining Room - Family Room With Fireplace, Wood Floors, Built In Bookcases - Must See - Excellent Condition. MLS#6522416. Re/Max Preferred. This Neighborhood Is Close To Everything In Grayson But Also Convenient To Restaurants And Shopping On Hwy 124. MLS#6515435. America Realty Center, Inc.. The Upgraded Kitchen With Quartz Countertops, Soft Close Doors And Drawers Stainless Steel Appliances Laminate Floors, New Carpet New Paint Newly Redesigned Master Bathroom New Ceiling Fans New Light Fixtures New Doors Privately Fenced Backyard All On A Full Basement! MLS#6513408. Keller Williams Realty Atl Part. Enjoy The Community Lake & Pool. Welcome Home. 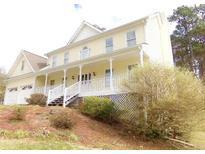 MLS#6115680. Keller Williams Realty Atl Part.